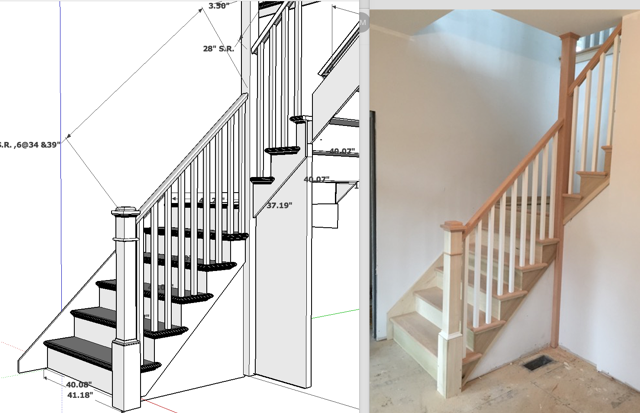 We are a custom stair, railing, manufacturing, painting, and installation company that has been providing home owners and builders with custom crafted stairs and banisters for over 30 years. We are fully licensed, insured, and qualified to work on commercial and residential projects using a broad array of wood, glass, and wrought iron products. Our experienced staff includes a knowledgeable sales team that provides friendly consultation along every step of the process. Our shop staff make custom components for each job, and each of our installers have years of experience. We also have a skilled painting and finishing team to provide you with beautiful, long lasting stairs. Each contract includes a 3D Google SketchUp representation of your staircase, so you can see and understand exactly what you are getting. We know that each home or office is as unique as its owner. Sometimes older homes need stairs that fit in a tighter space, other times you want a stair that truly matches the style of the building. We have found over the years, that stairs are an opportunity for anyone to be a visionary. Stairs are functional, elegant, and can be designed to blend in or stand out. Make this feature in your building something you love, that brings our the elements and character of your home or workplace. 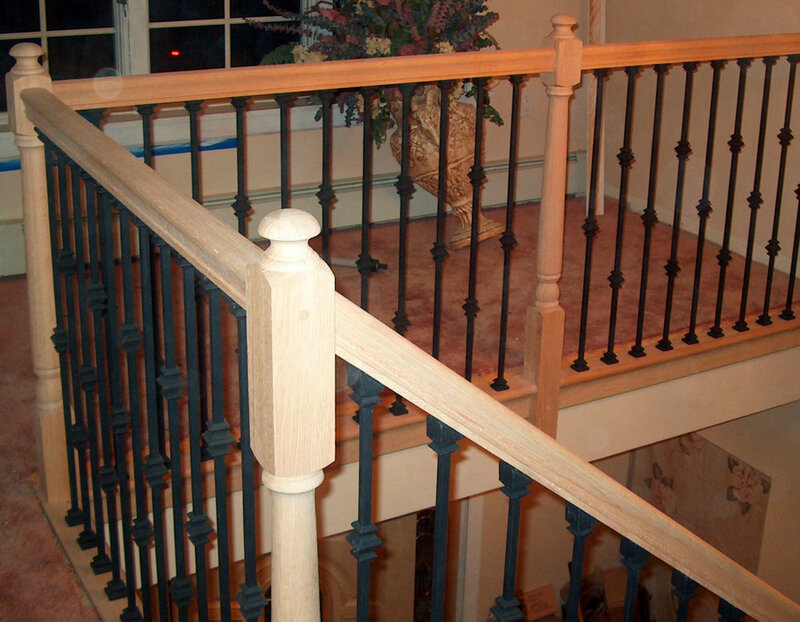 Whatever your vision, we are here to build you the custom stairs, banisters, and railings that you need. To ensure that your stairs look gorgeous after they are installed they need to be coated with paint, stain, or varnish to protect the stairs from moisture and wear. We help to speed things along by priming your stairs in our shop. This can be done in various stains and varnishes as well as white or other colors to match your home. Once your primed stairs are installed they only need a quick final sand, one last final coat and they are ready to use. This shop priming also ensures a smooth and consistent finish as we sand each individual part between coats. This allows you to start using your stairs soon after they are installed, and keeps them looking beautiful for years to come. Stair installation can be challenging at times, especially since it is often done before the rest of a home is entirely finished. We offer installation services along with the stairs you purchase to ensure that the final product is as you imagined. We guarantee that your stairs will be installed correctly and that they will be up to current building codes.